For any company to be successful, they need to first be one thing and one thing only; identifiable. You want consumers to identify a product with your brand, such as MP3 players, while not created by Apple, are almost immediately identified with Apple. You also want your brand to identify a product with your brand, such as how the PlayStation identifies Sony. Learning a few tips about branding for small businesses can help you to achieve this, and put you one step closer to achieving the success you deserve. Think of a few company names, right off the top of your head. Chances are, when you think of them, you automatically think of the products they create. 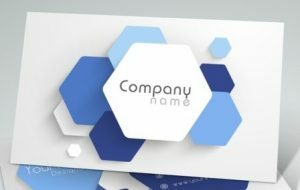 Your name should identify your company. Too many businesses come up with a somewhat clever name, but because it has nothing at all to do with their company, it winds up failing. If your company name is “PCs R Us,” you probably should not be selling pizzas. Likewise, if your company name is “The Food Mart,” then you should not be selling computers. A logo is a symbol with which consumers immediately identify. A successful logo will help you to catch more customers, while a failing logo will steer people away from your business. Think of it this way; when you see an apple silhouette with a bite taken out of one side, what do you automatically think of? Apple. Having not just a striking logo but one that people can identify on sight—and will make sense paired with the company name—will help to hammer in your company just that much more.